Use the Mighty Eagle Den Kit to make a shelter in your back garden and try a night outside under the stars. Adults should always do this with kids, just to be on the safe side. Start by choosing a fine night when it is warm and likely to be dry, and get your bedding and shelter ready before it starts to go dark. Follow the instructions in the den kit to make the shelter. 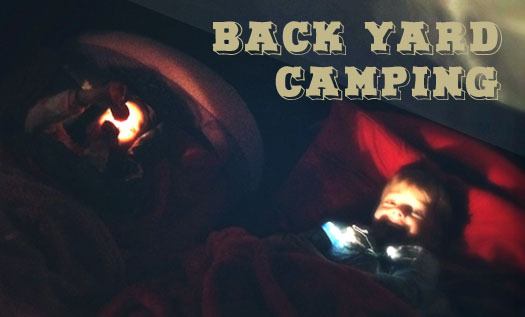 Get some bed rolls, sleeping bags, lots of duvets and pillows – and of course a torch. Get set for a night of excitement, chattering and probably not much sleep. Remember, dew on the ground means things start to get damp as soon as the sun goes down and before the sun comes up. If you are moving around on grass your feet will get wet, so a good tip is to use wellies for walking between the house and the shelter. Don’t forget you will need to have plenty of provisions and snacks for the obligatory midnight feast, and a good back catalogue of spooky stories and jokes to tell.